Ever since we started this blog, we've talked about Linux at great length. We've provided tips, tutorials, hacks and even some spicy gossip from the magical Penguinland. 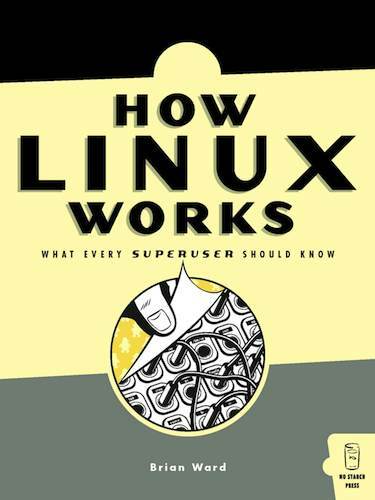 While that may suffice your geek cravings, the information falls quite short if you're trying to learn about Linux in greater detail. For learning Linux, you'll need a deeper knowledge and understanding about the system and its functions. 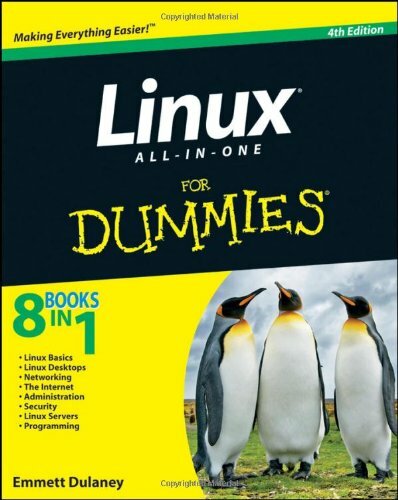 And what better way to learn Linux than by filling your shelf with some great books on the topic? If you want to take a no-fluff, only-the-good-bits approach towards learning Linux, then the Linux Pocket guide is the best place to start. Though not a comprehensive reference book, the little book does pack in a lot of material that you can reference any time you want. An essential book to own for Linux administrators, and for students who are studying for Linux-based certifications. 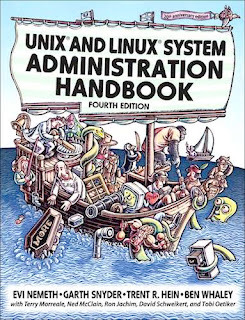 Currently in its fourth edition, this 1200-paged book covers everything you want to know about Linux and UNIX system administration. The book is divided into three parts, Basic Administration, Networking and Bunch o' Stuff. Basic Administration will give you a broad overview of UNIX and Linux from a system administrator's point of view. By the end of the section, you'll be able to administer your own computer. Networking deals with all the protocols used on UNIX and Linux that help set up, extend and maintain networks and Internet-facing servers. The final section includes a lot of supplemental information like virtualization, Eco-friendly computing and more. To make sure you understand all the stuff perfectly, every chapter ends with a set of practice exercises. Simply put, the book is a must-have for anyone who wants to get into system administration. 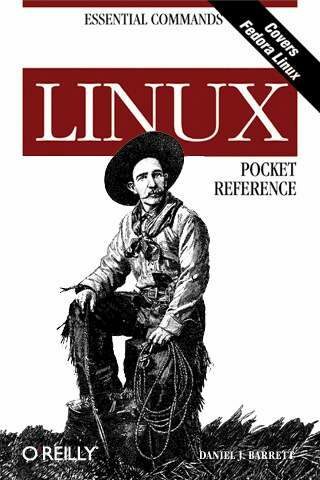 While the aforesaid Linux Pocket Guide serves as a great reference tool, this next book helps you dig deeper into the operating system. 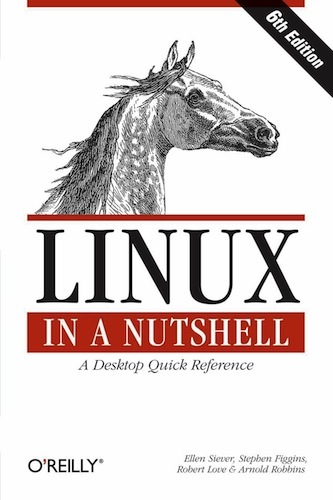 Linux in a Nutshell is a book that covers almost everything about Linux. 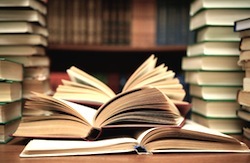 Written by four experienced authors from the Linux community, the 1000-paged tome includes a variety of topics that both novices and experts will find useful. Currently in its sixth edition, Linux in a Nutshell has been rated 4 and ½ out of 5 stars by Amazon users. This book is a definitive guide to the Linux and UNIX programming interfaces. 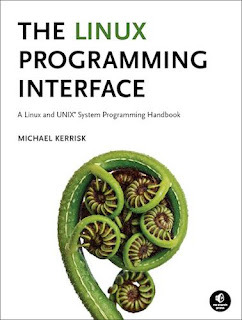 Written by Micheal Kerrisk, Linux Programming Interfaces gives a detailed insight into all the system calls and library functions that are needed to master the craft of system programming. The book is filled with examples, exercises, diagrams and detailed descriptions that will help you master the topic without any need for external help. Overall, an essential book for anyone who wants to get started on system programming. The title of the book says it all. Written by Mark. G. Sobbell, the book explains how to work with the Linux operating system from the command line. Not only that, there are also detailed coverage of Mac OS's command line interface, which is an added bonus. Unlike most of the aforementioned books, which dealt with more advanced topics, this book sticks to the basics and helps you take your first steps into the penguinland. Covering a vast array of basic topics, the book is divided into nine self-contained minibooks that makes the content much more organized and easy to scan through. Topics include system administration, security, programming, scripting, and of course, the very basics of Linux. 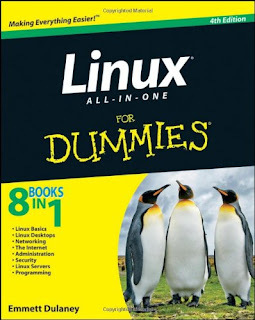 Worth your every hard-earned penny if you're trying to use and understand Linux. 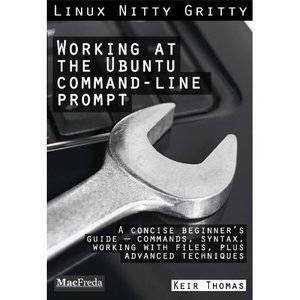 Written by award-winning author Kier Thomas, this Kindle-only book will make you a Ubuntu command-line ninja in no time. The book will teach you basic shell commands, syntax and some advanced techniques in a simple, easy-to-understand manner. Overall, the book proves to be a great way to get started with the command prompt. 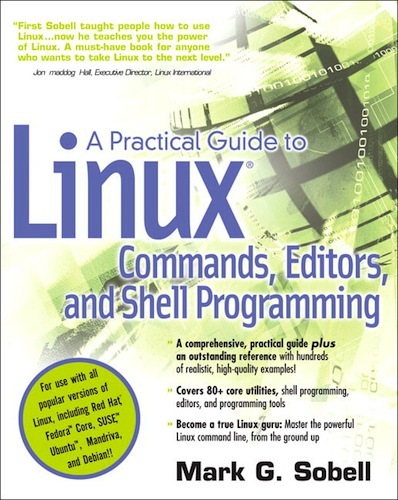 Cited as the authoritative guide to the Linux command line, this book is the only book you'll need if you want to master shell scripting. Filled with real-world examples, the book isn't just for Linux pros; it's a book that even novices can pick up and enjoy reading. 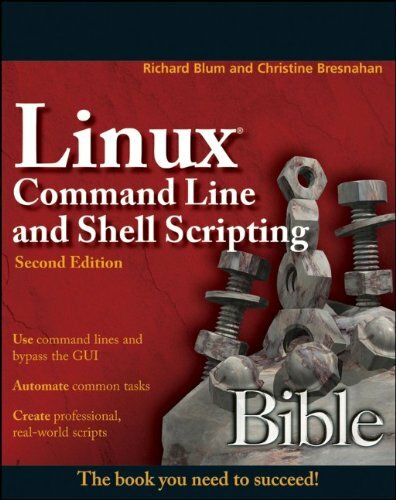 Written by experienced authors, Linux Command Line and Shell Scripting Bible is a must-have book for anyone who's serious about taking up shell scripting. Written by Kier Thomas, Andy Channelle, and Jamie Sicam, Beginning Ubuntu Linux is a great starting point for anyone who is curious about Ubuntu and its working. Being the number 1 distribution around, Ubuntu's importance cannot be overlooked. 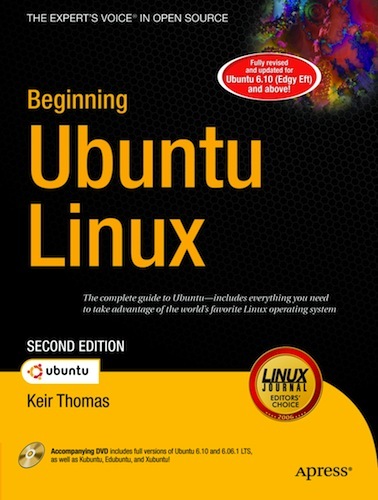 This book will take you from the very basics of Ubuntu to more advanced topics like shell scripting, user management and SSH networking. Overall, a great choice if you want to master the popular operating system. Written by Brian Ward, How Linux Works gives you a deeper insight into the internals of the Linux system. Aimed at system administrators, this book teaches you how to deal with real-world issues that arise while administrating a Linux system. With coverage of vast array of topics -- from boot sequence to networking – How Linux Works is a great investment if you're a system administrator. The Linux Programming Interface from Michael Kerrisk! 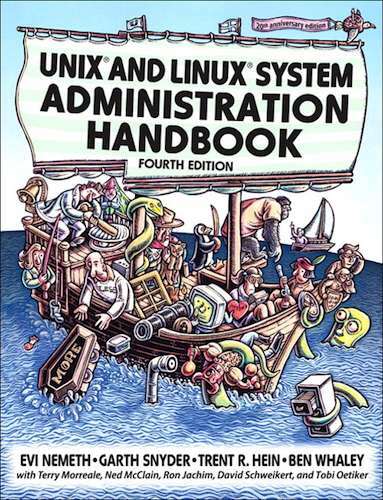 Unix and Linux System Administration Handbook is good one!